Welcome to Tarleton Tip Thursdays, where every week we help you harness the power of social media. Today we have a guest post by a recent Tarleton State University graduate. Social media has been taking the world by storm, and has become one of the top catchphrases on the Internet. Future college graduates, business owners and job-seekers everywhere are now asking themselves, “How do I maximize my social media presence?" There are 3 social media sites that help you do just that. According to their website, Klout "measures influence online using data from your social networks. Anywhere you have an online presence, you have the opportunity to influence people by creating or sharing content that inspires actions such as likes, retweets, comments and more. The more engagement your posts receive, the more influential you are. Klout uses this information to provide you a Klout Score that measures your overall influence.” The average user's score is a 20. Klout provides a real-time graph and daily updates on how and why your level of influence is rising… or falling. Klout also offers perks based on your influence. For instance, I’m influential about bacon, so if Oscar Mayer offers a perk, I'll definitely be eligible. Perks can range from being the first to try out a new social media service (I was one of the first 1,000 to try out Spotify, for example), to discounts on items in your range of influence, free memberships, and credit at online retailers. I am a recent member of the Kred world. After changes in Klout's scoring algorithms resulted in a backlash, Kred came onto the scene. Kred analyzes Twitter and Facebook data to measure your social media presence in these two areas; Outreach and Influence. Upon first glance, it looks like Kred and Klout are copies of each other. They are both K-words, they allow you to give points to others, and they measure your influence. However, Kred measures outreach and influence based on Twitter and Facebook, while Klout measures influence on up to five of your social networks, including LinkedIn and Google Plus. BrandYourself is a very unique social networking site. It allows you to see what appears when your name is Googled so that you can select your links and put them on your own Brand Yourself webpage. This works especially well for job searches. These three sites all help you maintain your online image. Take control, join one or more of these sites, and look forward to an online image that attracts people’s attention…for the right reasons. 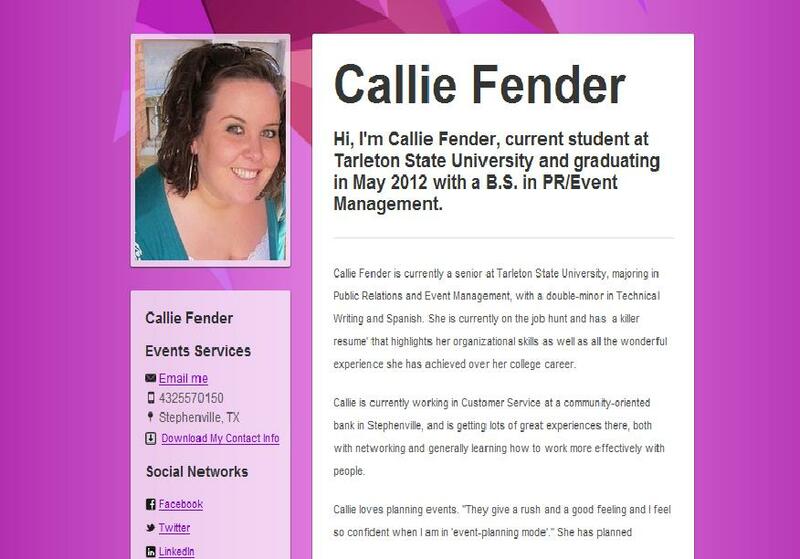 Callie Fender is a Public Relations and Event Management graduate from Tarleton State University. She loves social media and coffee--she also has a mini-addiction to Pinterest. She blogs at Fancy Schmancy and is also on Twitter and LinkedIn. I use Klout and Brand Yourslef. I will have to check out Kred. Thanks for information.